2019 Vision & Goal Planning Workshop! In this workshop you will receive expert advice from Jasmine Lightning Meeks detailing how you can design your life intentionally while creating a sacred space that displays your personal & professional dreams, goals, and desires that will move the law of attraction into action! RSVP today! 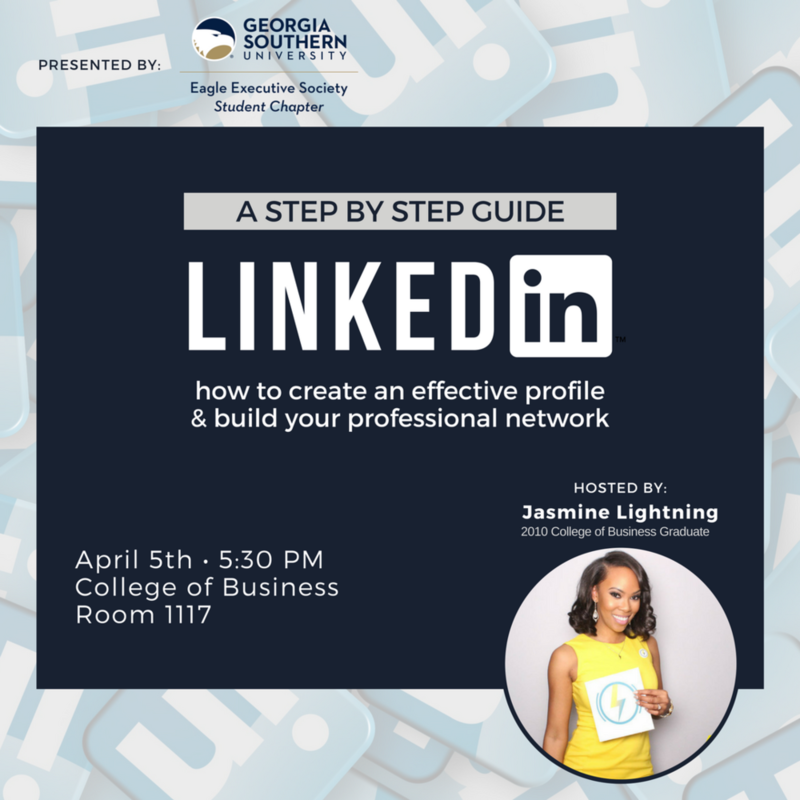 Join us on April 5th as Jasmine shares some of her best tips and tricks for creating an effective and professional LinkedIn profile to help you get the job you want! Jasmine Lightning-Meeks is the Chief Career Consultant & Founder of Lightning Clout, an organization dedicated to helping people attain their dream careers. Next month, Jasmine will bring her years of experience to Georgia Southern University in a partnership with the College of business’ Eagle Executive Society. As a proud alumna of GSU herself, as well as a College of Business Young Alumni Board member, Jasmine is excited to give back to her alma mater by sharing her career experiences and knowledge. 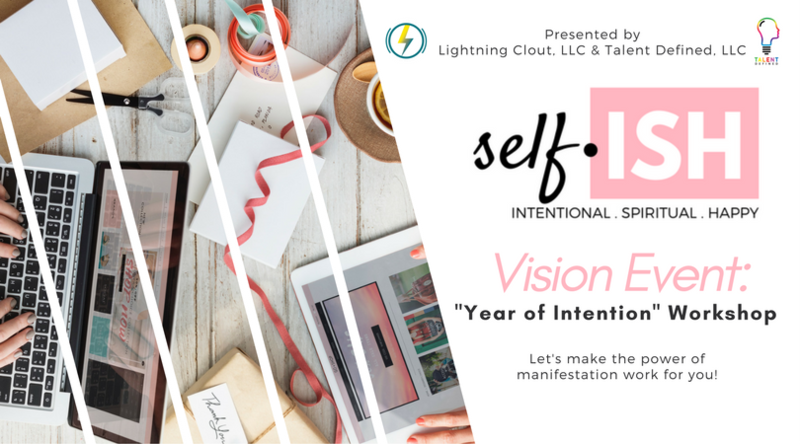 Join us at the self.ISH Vision Board Workshop as we kick-off the 2018 with our first "Self.ISH Moment" . In this workshop you will receive expert advice on how to design your life intentionally while focusing on self-love and happiness while learn how to create a sacred space that displays your dreams, goals and desires. You'll also learn visualization techniques and how to set daily intentions that will move the law of attraction into action. ****Each workshop attendee will also receive an copy of our Goal Planning Kit E-book! Let's make the power of manifestation work for you by creating your 2018 vision for your life! Join us as we begin the next step of our journey with the launch of our new brand, Lightning Clout. See you there!